We believe in what we do, and we feel our clients deserve more than what has been traditionally available. 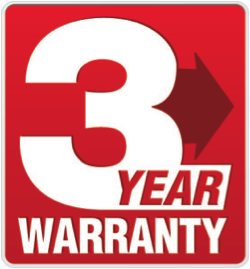 Our exclusive Three (3) Year Warranty is just another reason why CSAV Systems is set apart from other A/V vendors. CSAV Systems, referred to as “CSAV,” warrants that systems installed by CSAV will be free from defects in material and workmanship, under normal use, from the date of completion for a period of THREE (3) YEARS. Our Three-Year Warranty states that CSAV Systems will repair or replace any defective equipment or workmanship. Any service problem must be reported immediately. Any service due to terms exceeding this warranty, which follows, will be charged to the customer. This warranty does not apply to equipment showing abuse, misuse or damage to parts which, in the judgment of CSAV are not defective, or have been altered or repaired by anyone other than CSAV personnel. Any damages caused by Acts of God, vandalism, theft or failure to observe instructions for operations and maintenance as contained in Instruction Manuals, or from use of equipment in conjunction with incompatible equipment installed by others will not be covered by this warranty. Entry into equipment security covers, by any person other than a CSAV Systems authorized employee, will constitute tampering, and this warranty will immediately become null and void on any and all equipment covered. No one is authorized to assume any liability on behalf of CSAV Systems or impose any obligations on it in connection with the sale of any equipment other than as outlined above. In no event will responsibility be assumed or implied for consequential damages arising from interrupted operation or other causes, or any costs of liabilities incurred by the Purchaser, including costs or repairs undertaken by the Purchaser of liability to third parties. Customer agrees that neither CSAV Systems nor its subcontractors shall be liable for any loss or damage to the equipment or other property; or injury or death to customer’s agents, employees or customers arising in connection with the services provided under this warranty. CSAV Systems is covered under worker’s compensation and Liability Insurance. This CSAV Systems Warranty is not connected to or governed by manufacturers’ warranties and extends to a full term of THREE (3) YEARS regardless of the manufacturers’ warranty. Should the manufactures’ warranty exceed that of CSAV System’s, the equipment shall be covered by that manufacturer in the terms of each individual manufacturer’s warranty policy.